After years of searching, PRO has found a manufacture to knit a compression bandage to our exact specification. Using a heavier knit, this tubular knit doesn't easily stretch out, making it ideal for the rigorous demands of athletics. Set of three soft yet durable neoprene straps in varying widths used to position and stabilize athletes for stretching on a massage table. Each strap is 72” in length, package contains one 4", one 5”and one 6” width. Sold in packages of four**. Developed by an athletic trainer to protect the toes or fingers when contrast bath and ice therapy is prescribed for the foot or hand. Fits snugly to retain the body heat while preventing discomfort due to temperature changes. 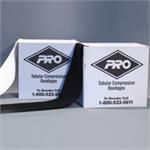 Prevent turf burns with lightweight sleeve constructed of Tubular Compression Bandage. They feature a sewn in, breathable foam pad for added protection without restricting range of motion making them popular with skill position athletes. 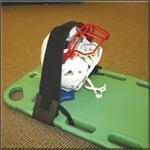 The PRO #316 Spine Board Strap is a fast easy way to stabilize a helmet/head on a spine board. A non-slip rubber surface contacts the helmet and the strap is long enough to wrap through the hand holes on the spine board. 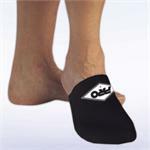 The OTIS product is a key component of a therapeutic exercise model and is used to improve power, strength, endurance, range of motion, speed, balance and coordination utilizing low impact oscillating exercise techniques. 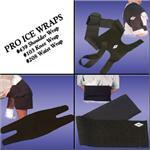 PRO ice wraps are the perfect method for applying cold therapy to most minor injuries. 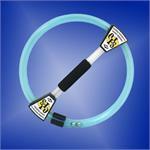 Made with quality neoprene for durability these wraps are perfect for treatment of pulls and strains. Adjustable compression keeps ice packs in place. Extra-sharp diamond-honed blades make these ideal for difficult to cut materials. Features safety tip and your choice of handle styles. 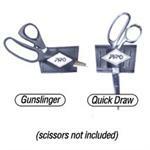 Scissor holsters also available.